It's fall foliage season in the Catskills! The mountains are calling, and you must go! The leaves change in mid-October, setting the trees aglow with red, orange, and gold. (For updated "color conditions," check the New York Foliage Report.) Most of our city friends flock to Hudson, Phoenecia, and the surrounding areas. But if you have access to a car and can sneak away for a couple of days, we recommend going deeper into the mountains. I always send my friends and family to the beautiful little hamlet of Oak Hill in the Great Northern Catskills. It's a 30-minute drive from Hudson that feels worlds away. The Dewitt: Each of the four guest rooms in this stylishly cozy B&B feels like a work of art, the home-cooked breakfast is divine, the two proprietors are so fabulous you'll wish they were your best friends, in-house dogs are cuddly and adorable, and every carefully curated piece of furniture and decor is available for sale. The Dewitt sits in the heart of Oak Hill, right on the Catskill Creek, which is the perfect place to sit and soak up the beauty of the season. Any season! Everyone we send to this place becomes obsessed with it. It feels like a hidden gem, but the rooms do fill up, especially on weekends. 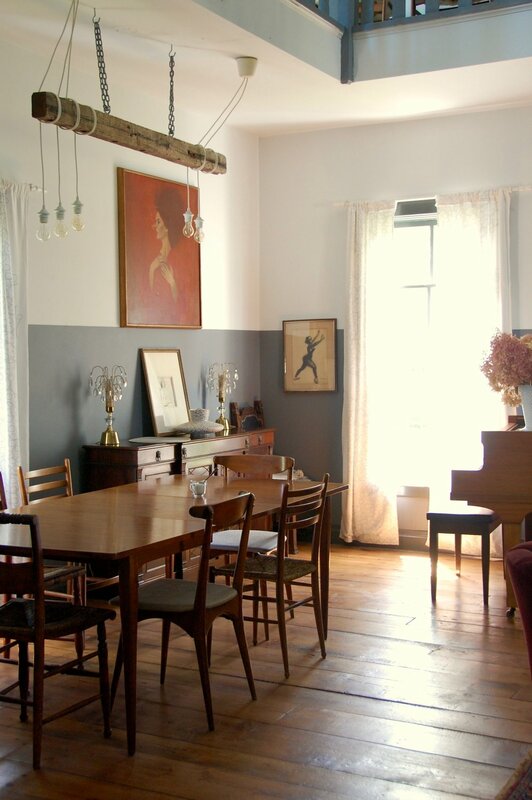 Other local options: The other spots I can wholeheartedly recommend all year long are the wonderful and kid-friendly Honey Hollow Farm Stay in Earlton (about 20 minutes from Oak Hill) and the gorgeous and roomy guest suites that sit atop the Mansion + Reed General Store in Coxsackie (about 30 minutes from Oak Hill). And though I haven't been inside yet, I've also heard good things about the old-fashioned Deer Watch Inn, right around the corner in East Durham. The Yellow Deli, Oak Hill: The dimly lit restaurant, outfitted with avian murals and found-wood booths, feels like a giant tree house. I love their veggie burgers, and my husband is into their hefty Volkswich, a pastrami sandwich dressed up with hot peppers, cheese, horseradish sauce, garlicky mayo and mustard. CLOSED ON SATURDAYS but open Sunday through Thursday from 10am to 9pm and Friday from 10am to 3pm. 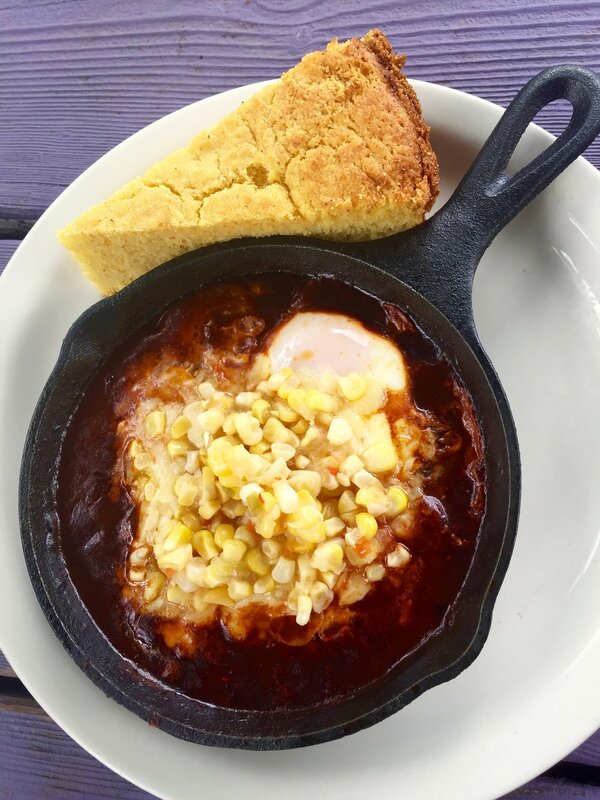 Bee's Knees Cafe at Heather Ridge Farm, Preston Hollow: This place is just a little 1820s farmhouse perched on a hilltop with THE BEST FOOD IN THE WORLD (menu here). I dream about their breakfast skillet and salted caramel brownies. For picky kids, they have buttery eggs and English muffins, plus lots of cute animals to visit. Open Saturdays and Sundays only, from 11am to 3pm. Gracie's Luncheonette, Leeds: Fresh donuts. Great burgers. Awesome breakfast options and hot chicken biscuits all day long. Beer, wine, and really great cocktails. Plus, fall foliage views out the big back windows. 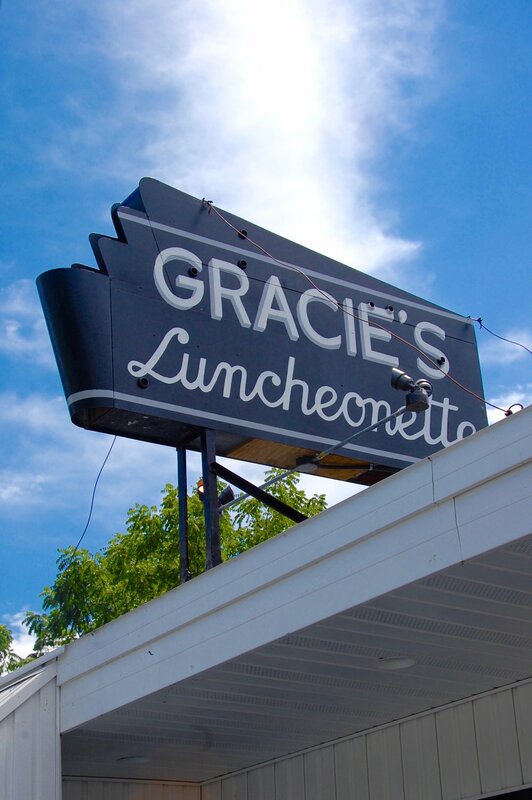 It's right off the Thruway, and it's the best place to stop you your way in and out of town. Open Monday, Wednesday, Thursday and Friday from 11am to 9pm; Saturday and Sunday from 10am to 9pm; Closed Tuesdays. East Durham Farms, East Durham: Our favorite farm in the area, selling just-picked organic produce, golden-yolked eggs, really delicious sausages, juicy and tender on-the-bone chicken, and rich, sweet honey. I.U. Tripp, Oak Hill: An authentic 1888 general store run by the friendliest family, offering a very well-curated selection of china, glassware, textiles, mint-condition vintage clothing, classic candy, and locally made gifts. K& K Equestrian Center, East Durham: Horseback riding in the most breathtaking location, $6 pony rides, and some really cute farm animals, including a ridiculously adorable pair of puffy white lionhead rabbits. Hort & Pott, Oak Hill: Part plant nursery, part antique shop, part handmade home goods supplier, this little barn feels like Ernest Hemingway's Key West yard sale. If you need a vintage life preserver, an ocean-blue typewriter, or a rough-edged, 2-foot wooden eagle wall hanging, you've come to the right place. Greenville Drive-In, Greenville: Drive-in season only runs through mid-October, so check the calendar to see if you can still catch a show at this awesome, open-air theater with a tented beer and cocktail garden. Hop Barn Brewing, Greenville: This farm brewery makes you feel like you found a cool dad-friend to serve you some tasty home brew in his man cave. Since our last post about the place, they've added more indoor seating and started serving wine and spirits from Kymar Farm. BONUS: Go record shopping at Preserved Instincts in Oak Hill, the next stop on my must-visit list!